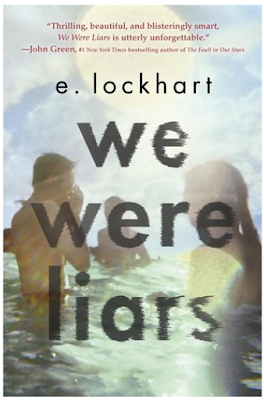 We Were Liars focuses on a beautiful and rich family and the summers they spend on the private island that they own, complete with a full staff. The main character in the book is Cadence Sinclair, or as she is more commonly called, Cady. She has an accident one summer which causes her to suffer with amnesia and crippling migraines. Cady returns back to the island after two summers and does her best to try and find out what happened to her to cause the accident and what happened during that summer she can't remember. I don't want to say too much more than that about the plot, because like many other people have said in their reviews, to say too much would be to spoil the book. All I will say is it is full of twists, turns and intrigue which you should definitely find out for yourself rather than read from a review. Cady is probably one of the first main characters in a book that I have actually not taken a shining too, even when you start to see some of the downsides of being raised in money it is hard to feel sorry for her. She is spoilt and privileged and doesn't come across as a very nice person but I think the disconnect most people will have to Cady will just add to the twists made in the plot. The book is very fast paced and easy to read. I wasn't dying to read it in all my spare time but I found that when I did eventually get round to picking it up I would get easily absorbed and read it for a few hours at a time, that is until the last 1/4 of the book when I could not put it down. If you are looking for an interesting summer read that is slightly dark then this is something worth picking up. It's made a nice change from the more fluffy, romantic young adult I've been reading recently and found it a clever, interesting read.